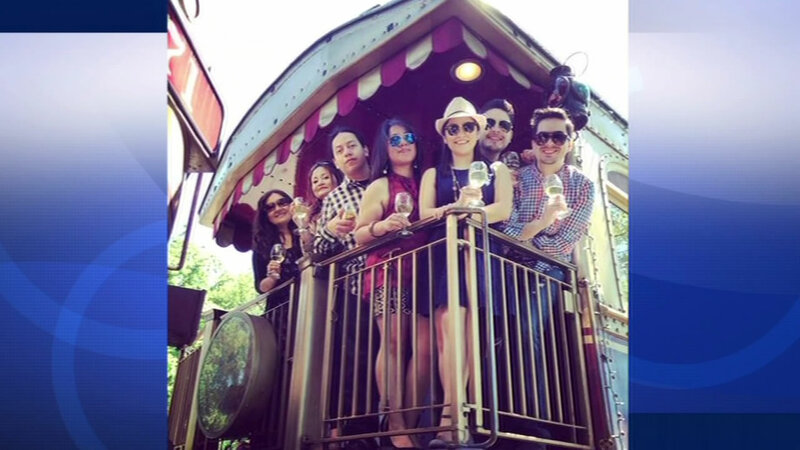 NAPA, Calif. (KGO) -- Another woman is accusing the Napa Valley Wine Train of racial discrimination. Norma Ruiz, 28, says an employee told her group in April that they would be kicked off if they didn't control their noise level. Ruiz says she believes the manager discriminated against them because they're Latino. "If I would have been white, I think I would have experienced more privilege," she said. They would have accommodated us in a different car train. And definitely from the other guests, more tolerance." 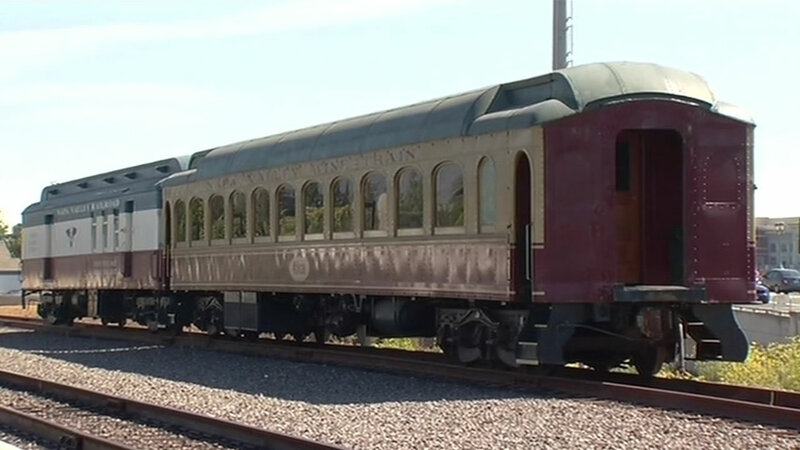 The Napa Valley Wine Train is apologizing to a women's book club after booting them from the train this weekend for allegedly being too loud. This latest accusation surfaced after a black women's book club was kicked off the train Saturday after passengers complained they were being loud. 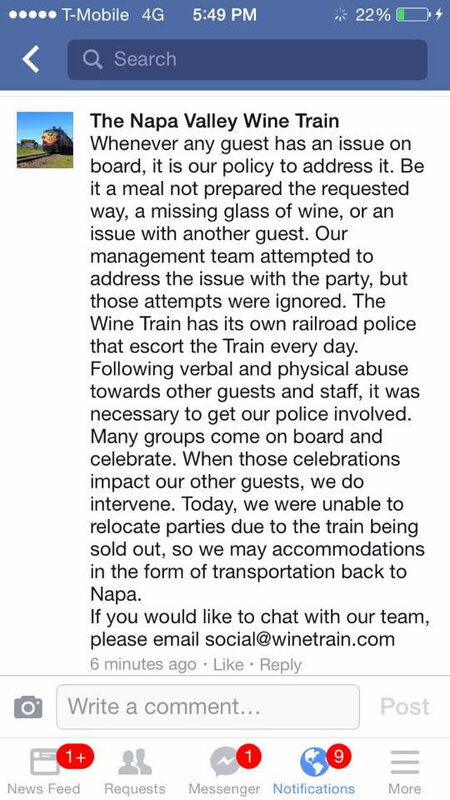 But then the group was offended to see a Facebook post from the Wine Train, which has since been deleted. It read in part: "Following verbal and physical abuse towards other guests and staff, it was necessary to get our police involved." "That is absolutely untrue," Johnson said. "We have never, we never touched anybody." PR consultant Sam Singer, has been hired as a spokesperson for the Napa Valley Wine Train, he says that post was a mistake. The group refused an apology from the train company's CEO. A spokesperson has denied the latest allegation of racial bias. ABC7 News reporter Sergio Quintana contributed to this story.